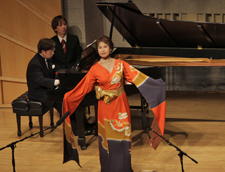 In its 36th season, Music From Japan presented Festival 2011, a weekend of events in New York City’s Baruch Performing Arts Center, and a concert at the Smithsonian in Washington, DC. 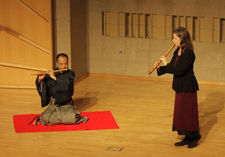 The programs introduced the worlds of Japanese song and flutes, showcasing the talents of leading exponents of both art forms through traditional and contemporary music. Among the pieces performed were two world premieres commissioned by Music From Japan. 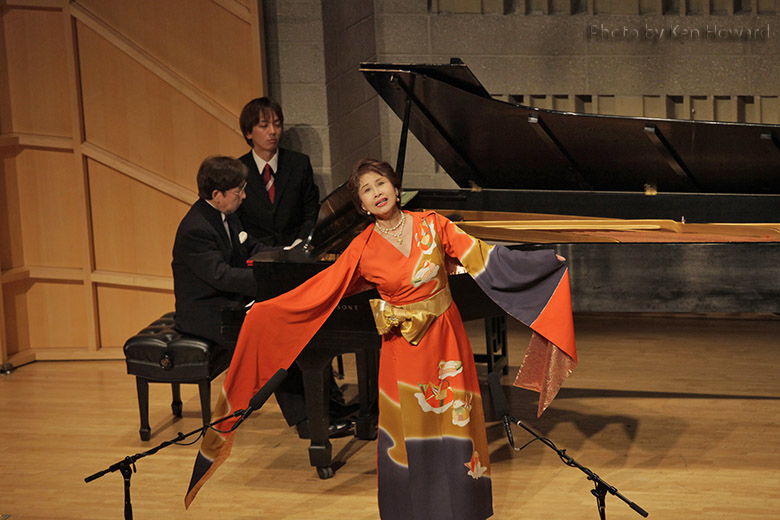 In New York the festival presented two programs: “Flutes from the East and the West,” which explored the relationship between these two great musical cultures from multiple perspectives, and “Song from the Spirit of Japan,” which celebrated the nation’s enduring song-setting tradition. 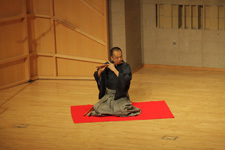 On February 12, 2011, Music From Japan presented Flutes from the East and West, a concert featuring Kohei Nishikawa and Elizabeth Brown performing new and traditional music for Western classical flute and three kinds of Japanese flute: the transverse nohkan and shinobue, as heard in Noh, kabuki theatre, and village festivals, and the shakuhachi, the vertical bamboo flute. 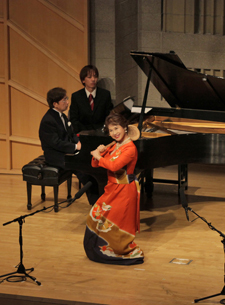 On February 13, the festival program was titled Song from the Spirit of Japan. 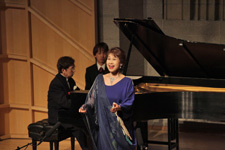 This concert marked the first time Music From Japan programmed a singer as a featured artist; mezzo-soprano Keiko Aoyama is the undisputed “premier performer of Japanese composers’ songs” (Ongaku Gendai [Music Today], Jan 2010). 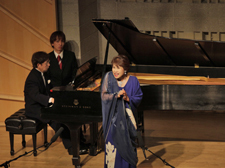 With her regular pianist, Yoshio Tsukada, Aoyama sang settings of traditional folk songs, of songs with traditional Japanese sonorities, and of poems by the popular Hakushu Kitahara (1885-1942), the notable poet and novelist Haruo Sato (1892–1964), and the avant-garde Shoko Ema (1913-2000), one of the few female lyricists of the pre-war period. On February 16, the festival artists travelled to Washington D.C. to perform a concert at the Smithsonian Institution. 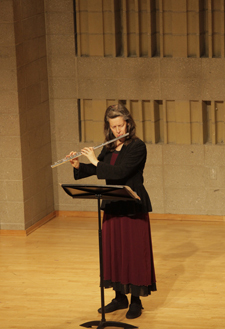 This concert featured highlights from both festival concerts, including both pieces commissioned by Music From Japan for Festival 2011 – Norio Fukushi’s Night of the Full Moon, and Elizabeth Brown’s fragments for the moon. 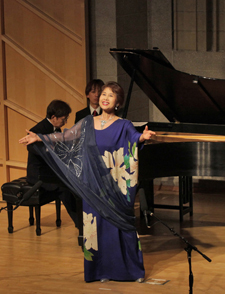 Featured artists included Keiko Aoyama: mezzo soprano, Elizabeth Brown: shakuhachi and flute, Kohei Nishikawa: nohkan, shinobue, and flute, and Yoshio Tsukada: piano. Music from Japan Festival 2011 was made possible in part by public funds from the Agency for Cultural Affairs, Government of Japan, for the fiscal year 2010, the New York State Council on the Arts, a state agency, and the Japan Foundation. Major funding for the project was provided by the Rohm Music Foundation, The Mitsubishi UFJ Trust Foundation for the Arts, Asahi Shimbun Foundation, The Kao Foundation for Arts and Sciences, Fuji Television Network, Inc., Nomura Foundation, and the Morimura Houmeikai Foundation. 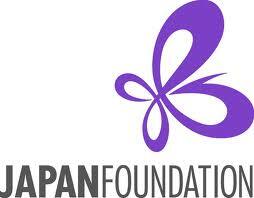 Music From Japan appreciates the cooperation of The Japan Federation of Composers, Inc., Japan Society for Contemporary Music, and all participating venues.